My friend Jack Lacy has been very helpful in keeping his classmates from HHS '56 updated on the passing of classmates from that class. 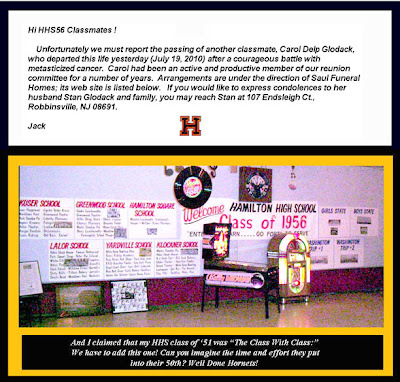 The above graphic was appended to Jack's notification of the passing of Carol Delp Glodak, still another member of the Hamilton High class of '56. Thanks Jack. 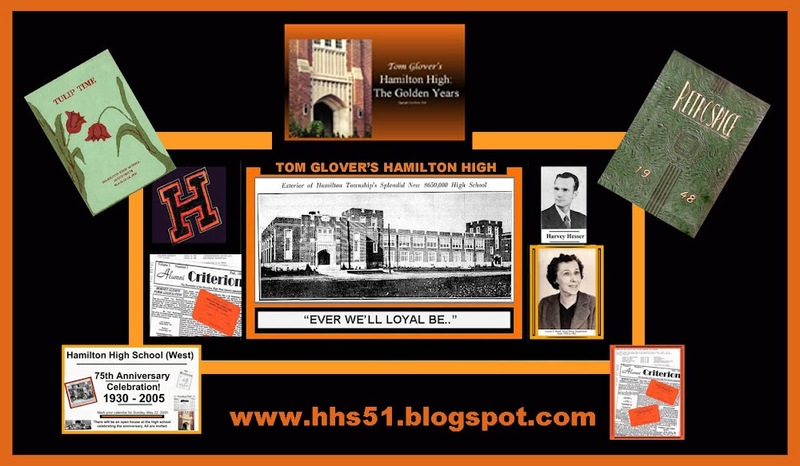 This post will also appear on my Hamilton High website, www.hhs51.blogspot.com.